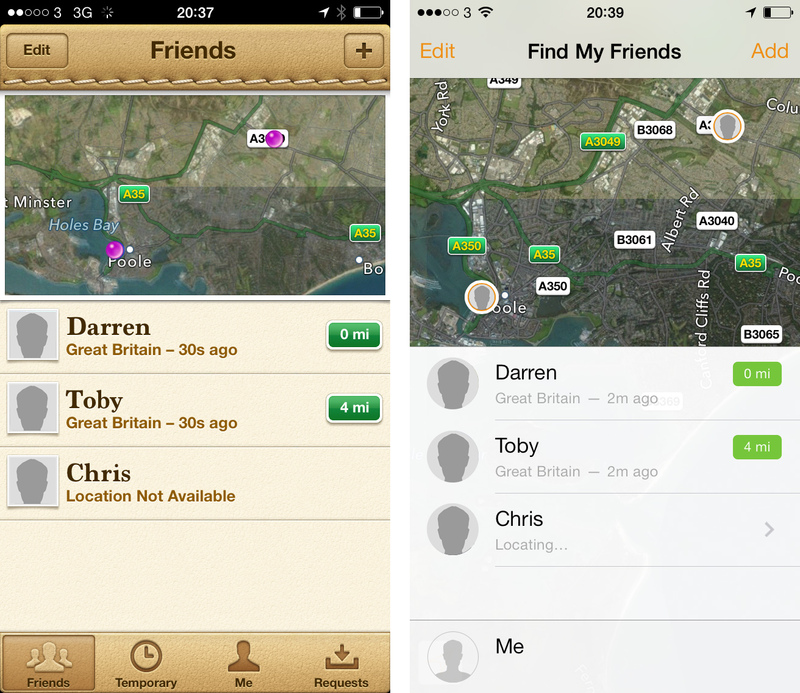 Apple has finally updated its Find My Friends app for iOS 7, with a brand new look and additional features for both iPhone and iPad. The new interface sports a clean, white look with orange highlights. 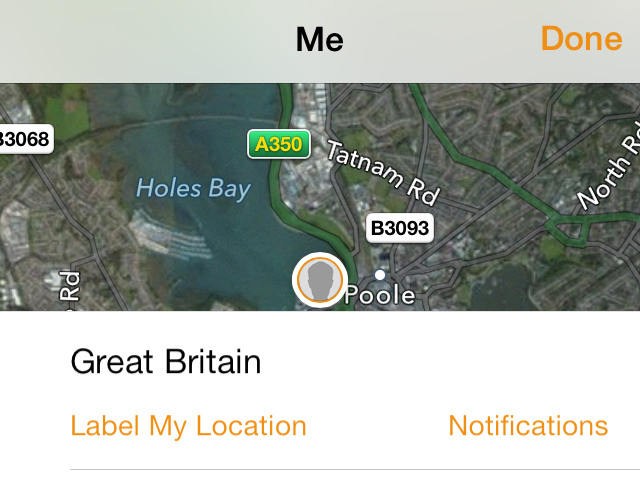 Friends now show round thumbnail photos matching the Contacts app — both in the main interface panel and also on the map view. Earlier versions of the app only showed pins on the map. 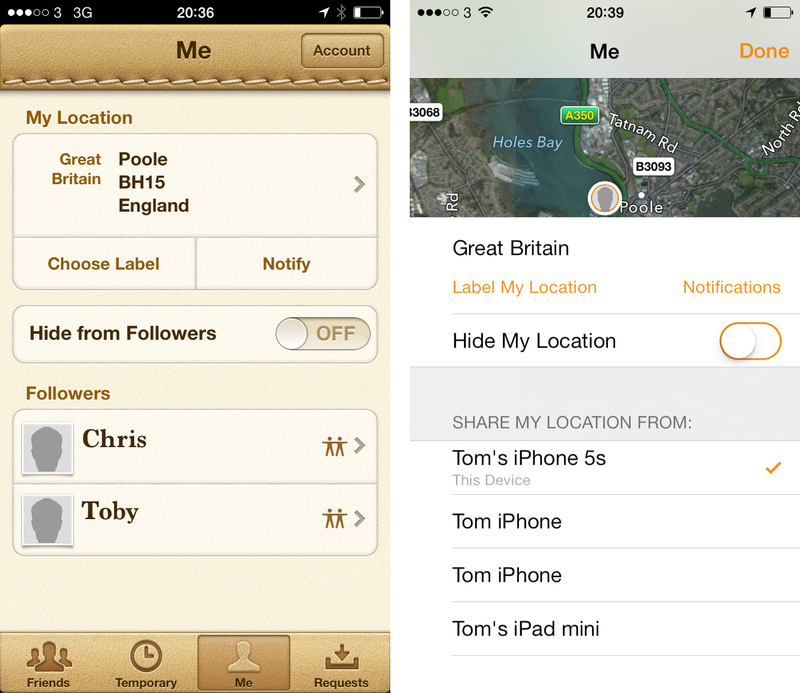 The Me panel of the app now enables users to choose which device is used for location data (helpful if you have multiple iPhones and iPads). Finally, the apps icon has been given an iOS 7 makeover with a yellow and orange gradient.